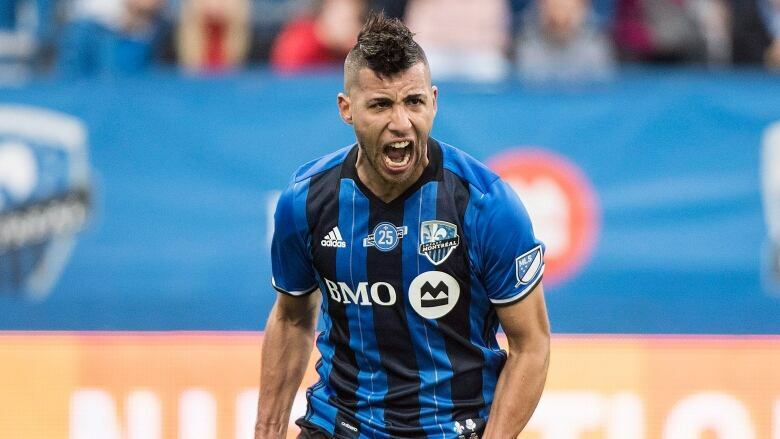 Saphir Taider scored from the penalty spot and added two assists as the Montreal Impact defeated the visiting Columbus Crew 3-0 on Saturday. Coming off their worst defeat in franchise history, the Montreal Impact wanted to show they still have some fight left in them. The MLS squad did just that on Saturday. Montreal followed up a 5-0 loss in D.C. last week with a 3-0 victory over the visiting Columbus Crew to remain in the playoff race in the Eastern Conference. The Impact, sixth in the East, now have a five-point lead over D.C. United, who have three games in hand. D.C. plays Sunday against the Chicago Fire. Six teams make the playoffs in the East. "You don't want to end the game with regrets," said Impact goalkeeper Evan Bush. "A lot of us ended last week's game with regrets. We had a discussion before the game about not quitting. A lot of people expected us to quit. A lot of people want us to quit so they can write about it. But inside this locker room, we still believe in what we're capable of. "Are we a 3-0 [winning] team over Columbus or a 5-0 [losing] team against D.C.? Probably somewhere in the middle." The Crew (13-10-9) remain fourth in the East despite the loss. The victory was Montreal's first against Columbus in their last six matchups, dating back to April 9, 2016. Bush was instrumental in the win, making nine saves for his ninth clean sheet of the year. He set the tone early with key saves on Harrison Afful on a breakaway in the 14th minute, a strike by Pedro Santos in the 15th and a header by Jonathan Mensah in the 18th to keep the game scoreless. Bush leads the MLS with 126 saves. "I'm proud of him," said Impact coach Remi Garde of Bush. "I'm proud of the work he's done this season. Tonight, he really had a big game." Saphir Taider thanked his 'keeper by giving the Impact a 1-0 lead from the penalty spot in the 32nd minute, his seventh goal of the season. Montreal (13-15-4) was awarded a penalty kick after Alejandro Silva's cross in the box hit Josh Williams in the arm. Referee Alan Kelly did not give the penalty right away as the 19,015 in attendance at Saputo Stadium booed the decision. A video review quickly changed Kelly's mind and he pointed to the spot. Ignacio Piatti usually takes the spot kicks for Montreal but he let Taider have it. The Algerian international fired down the middle as a helpless Zack Steffen dove to his left. "I wanted to take the penalty," said Taider, who also had two assists in the game. "I had already spoken to Nacho a couple of days ago and he gave me his blessing. So I thank him for that."